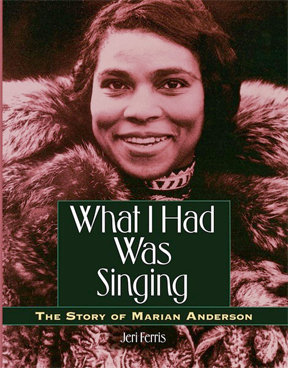 Marian Anderson's great Easter Sunday concert in 1939 was one of the opening events of the Civil Rights movement in the United States. Ms. Anderson, one of the world's greatest contraltos, was not allowed to eat in most public restaurants in the southern U.S., was not allowed to stay in hotels in southern OR northern U.S., was not even allowed to travel in a pleasant, regular American train car – all because of the color of her skin. Nevertheless, she loved her country passionately. She opened her Easter Sunday concert with "My Country, 'Tis of Thee – Sweet land of liberty ..." Did she herself experience liberty? WHAT I HAD WAS SINGING tells her story.